No One Wants to Know How the Sausage Gets Made is a 2v2 game. 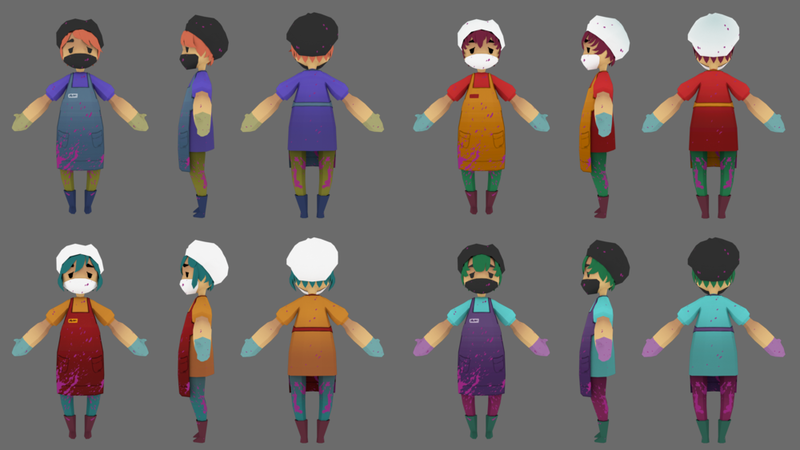 Players work at a "morally questionable" sausage-making factory and each team wants to make the most money. Players can opt for sabotaging the other team or focusing on their quality of sausages. I was the character modeler, rigger, and prop designer. I followed Sonja LaRosa's concept art to create the characters. No One Wants to Know How the Sausage Gets Made Is not available for download.